Celebrate with Pogo – Happy International Friendship Day! Throughout the year Pogo will Celebrate certain events. 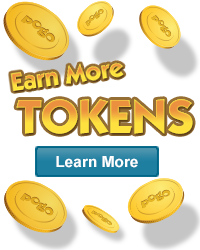 Play each of the featured games and get some Bonus Tokens. Celebrate International Friendship Day with Us! Today we celebrate International Friendship Day by sharing some extra Tokens with our friends… all you Pogo gamers! You can start your International Friendship Day tour of fun in Spades, collecting 2,000 Tokens. The friendship cavalcade continues in Bingo Luau and, where you can pick up yet more bonus Tokens! Finally, Everyone Wins Bingo is offering 2,000 Tokens for Club Pogo members. What can we say? We really like you guys! Be sure to let your Pogo friends know how much they mean to you with a friendly message or gift! Pair up with a partner in this four-player online card game of wits. Play the game where you can’t lose with Everyone Wins Bingo. Bingo games with a new tropical twist. It’s easy, fun, and now with more ways to get B-I-N-G-O!